Welcome to the homepage of the Naval Reserve Officers Training Corps (NROTC) at the University of Notre Dame. The mission of the NROTC program is to develop and train midshipmen in preparation for careers as Navy and Marine Corps officers. We focus on academics, leadership, physical fitness, and community involvement in order to provide students with the necessary skills to become leaders of this great country. This website provides information on how to pursue a career as a Naval officer through the NROTC program and specific information on the battalion of midshipmen here at the University of Notre Dame. 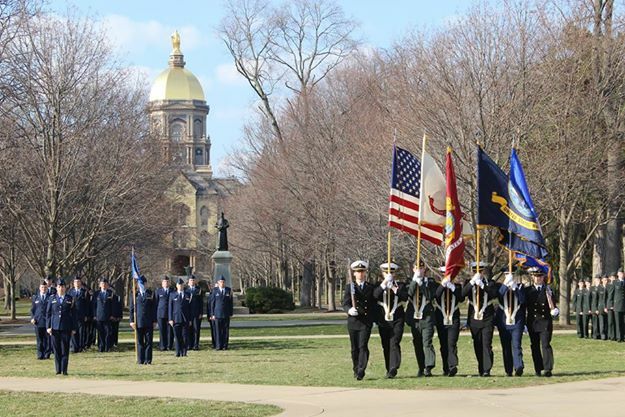 What is NROTC Notre Dame? Over 100 students at The University of Notre Dame and Saint Mary’s College train for future careers in the Navy and Marine Corps on the Notre Dame campus. 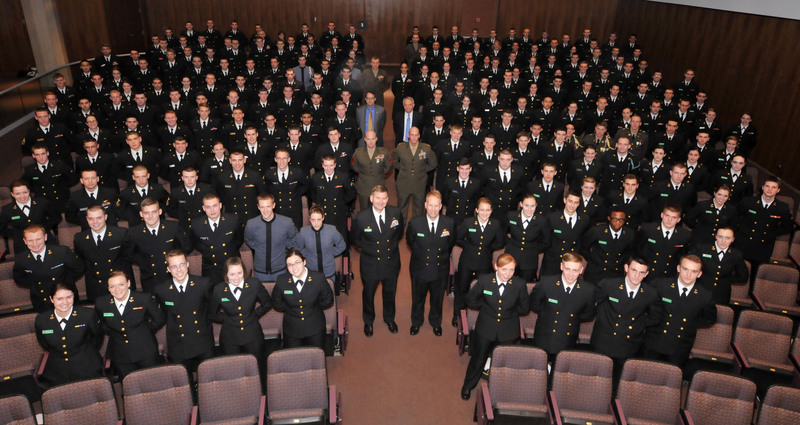 Each year, Notre Dame’s NROTC Unit hosts midshipmen from over 50 colleges around the country for a series of seminars on issues critical to leadership in the Navy and Marine Corps. The Midshipmen-run Trident Naval Society organizes several events throughout the academic year to support worthy causes like the Wounded Warrior Project.